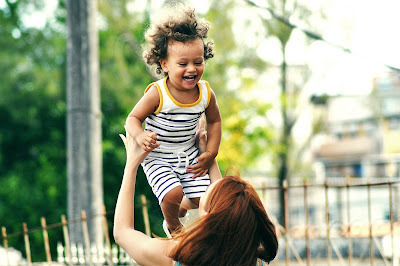 The Parent's Role in ABA Therapy - I Love ABA! "How do I teach my child" and "How do I reduce behaviors". All of the questions I get can be boiled down to 2 essential questions, that pretty much every parent raising a child with special needs (or any child, really) wants to know. I can boil it down even more than that. These 2 questions are really getting at: "While you guys are working with my child and implementing this fancy treatment/therapy, what am I supposed to be doing?". To that question I say: You are supposed to be learning. The typical parent I work with is not an educator, child expert, or a Behavior Analyst. Behavior change is not common knowledge, unfortunately. Much of what I teach parents initially seems counter-intuitive, illogical, or just downright odd. For children without any diagnosis or disability, parenting is hard enough. I can't imagine how much harder this process must be when your child learns/develops in unexpected ways, you need a team of professionals to help your child, and that team of professionals knows a LOT of information that you do not know. So what's a parent to do? Well here is what NOT to do: open the door to let the therapy team in the house, disappear for the duration of the session, and then open the door to let the therapy team out of the house. Or: drive your child to the treatment clinic, sit in the waiting room, drive your child home from the treatment clinic. None of those scenarios will help you learn anything about your child's progress in treatment or therapy. But for a long time in this field, these scenarios describe what I saw. I saw parents briefly when I entered or left their home. I saw parents briefly at the start of the day at the clinic, or at the end of the day at the clinic. Quite non-surprisingly, these parents always reported a slew of challenges and issues outside of therapy sessions that the therapy team just didn't see. I am huge on parent involvement and parent coaching, I strongly believe that if the people who hired me do not do the heavy lifting alongside me, then there's no point in me being there. To the parent or caregiver reading this: Now that you know what you are supposed to be doing while your child is receiving treatment (Learn), you may be wondering how exactly to do that? Glad you asked. Ask questions - Parents don't ask me nearly enough questions, and I remind them of this all the time. The team of professionals you are working with have spent a long time accumulating knowledge, as well as applying it to a variety of individuals. In other words, they may know a thing or three. It is in your best interest to ask questions about anything that concerns or worries you. Let me clarify that just a bit, I don't mean questions like "What will he be like at 22" or "Will she ever get married or go to college". The ABA team are not fortune tellers. I mean questions about treatment, goals, behaviors, etc. Do your research - I know, data and journal articles are not fun to everyone. By research, I don't mean you need to complete a dissertation on Behavior Analysis. What I mean is, do you actually understand the treatment your child is participating in? 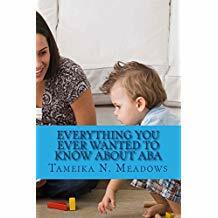 Do you know what ABA is, and what it is not? If your child has an IEP, are you familiar with IDEA? If your child receives speech therapy, how much do you know about ASHA? If you are signing your child up for therapies you barely understand, then how will you determine if the therapies are being implemented correctly? Read the documentation....All the documentation. Yes, I'm serious. - We can tell when you do not read our documents, whether its the report, the behavior plan, the programs, the handouts, etc. The questions you ask or the strategies you implement make that quite obvious. 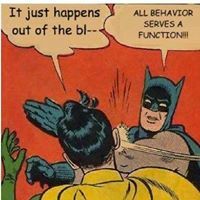 If you have not read the behavior plan then how can you possibly implement it? You can't. Which will lead to problem behaviors not improving. If what the professionals are giving you to read looks like hieroglyphics, then you can absolutely ask them to translate that stuff into simple words! Or better yet, schedule a meeting to go over the documentation together. W-A-T-C-H - I usually start easing the families I work with into participation by having them just join the therapy sessions, to silently watch. This accomplishes multiple things at once: the parent gets to see the quality level of the staff, the child gets used to mom/dad being in the room but not rescuing them, and the parent gets to see how we teach skills. Observing the therapy sessions or treatment is an invaluable tool that will yield out so much important information. If you do 1 thing this week to participate more in your child's therapies, please sit and watch the therapists work with your child. It's the best way to learn. Talk to the treatment team as if they work for you, because they do - The treatment team is there to help your child, and to a greater extent, to help your family. That means they are accountable to you. Do you feel like they are doing their job? Are they meeting your expectations? Is your child improving? Can you say that your household is benefiting from the intervention, not just your child? If not, its time to have a conversation with the treatment team. Expect, no--->require professionalism and respectful communication - You have a right to ethical treatment from qualified professionals. Read this post if you need more clarity on that. This one is important: unethical, unqualified, non-professionals are not likely to implement intervention in a way that will actually help your child. I just don't see that ever unfold that way. Tell us when you don't think treatment is working - If you don't think the behavior plan has changed anything, tell that to the BCBA. It's important for us to know when you do not see the benefit of treatment (we call this social validity). 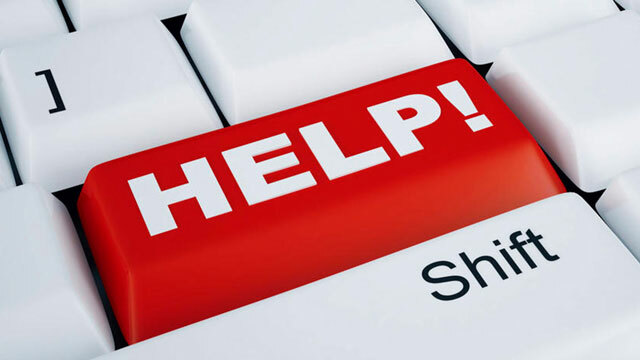 As the person who requested our services, you should be the main supporter of our services. So if, for any reason, you have a problem with the way treatment is being implemented then we need to know that. Parent raised issues help professionals discover problems, become aware of blind spots, or shift our perspective.